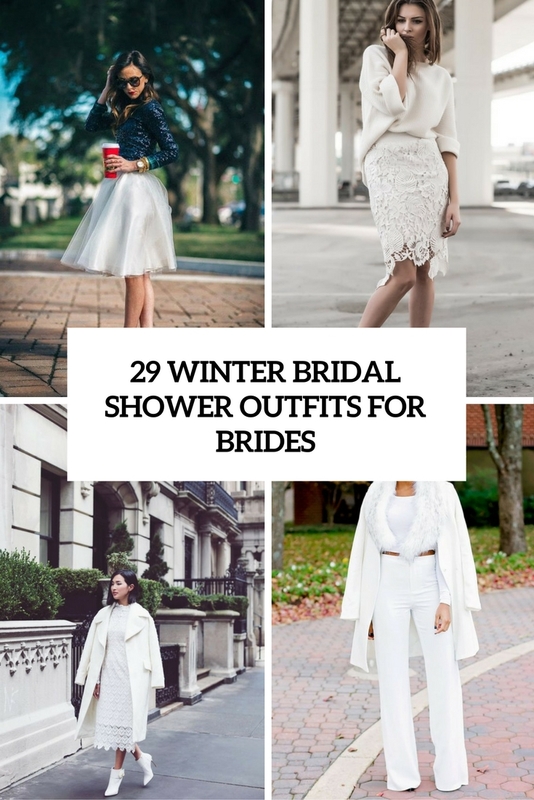 Winter bridal showers aren’t on yet but preparing beforehand is better than rushing later, so today we’d like to share some cool bridal shower outfit ideas for brides. Most of brides prefer rocking white or silver grey at their celebrations. Winter bridal showers are often close to the holidays, so you can also rock some holiday-inspired outfits with sequins and red. A tutu skirt is among the most popular items to wear at a bridal shower because they are feminine, cute and look good with various types of clothes. You can wear a tutu skirt of different colors, not only white: grey, black, pink, blush and pair it with a sequin top or better a sweater to feel warm and comfy. Add a statement necklace and a pair of gorgeous heels and you are ready. Sequins are suitable for any bridal shower including a winter one. Sequins will help you sparkle even more, try a sequin maxi or mini or sequin pants. Add a comfy white or grey sweater with an eye-catchy knit, a pair of cool heels and a sequin clutch. 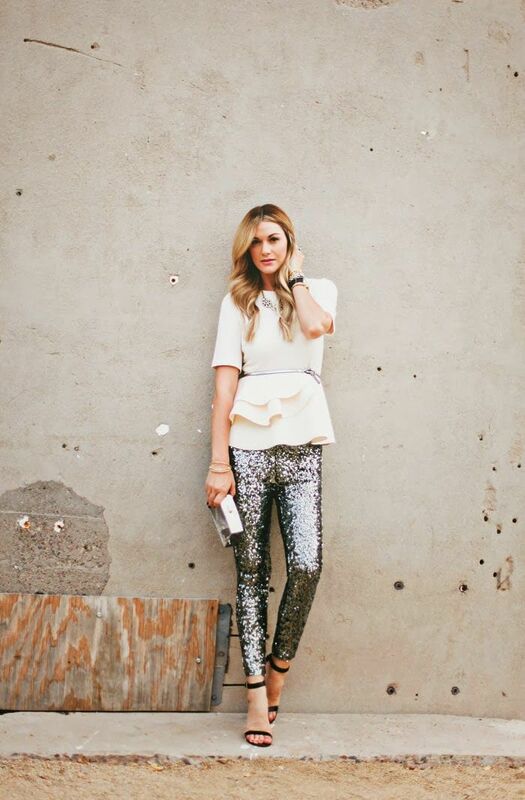 Don’t be afraid to rock not only white but also silver and gold sequins, such an outfit can double as a holiday look, too. 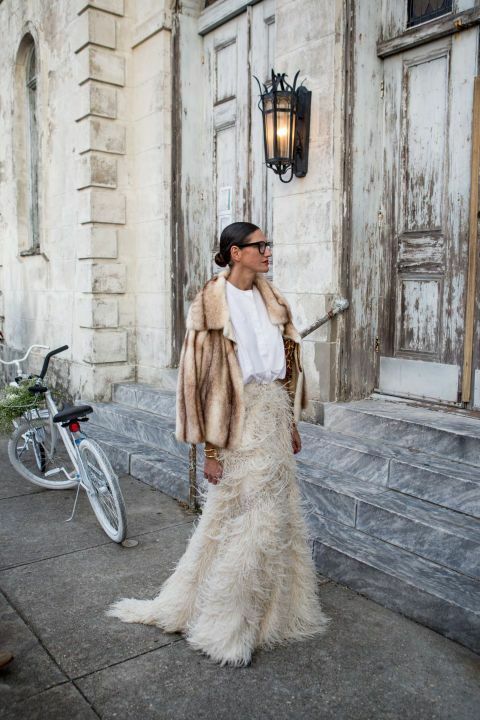 You can create a lot of outfits for your winter bridal shower, there are so many ideas! 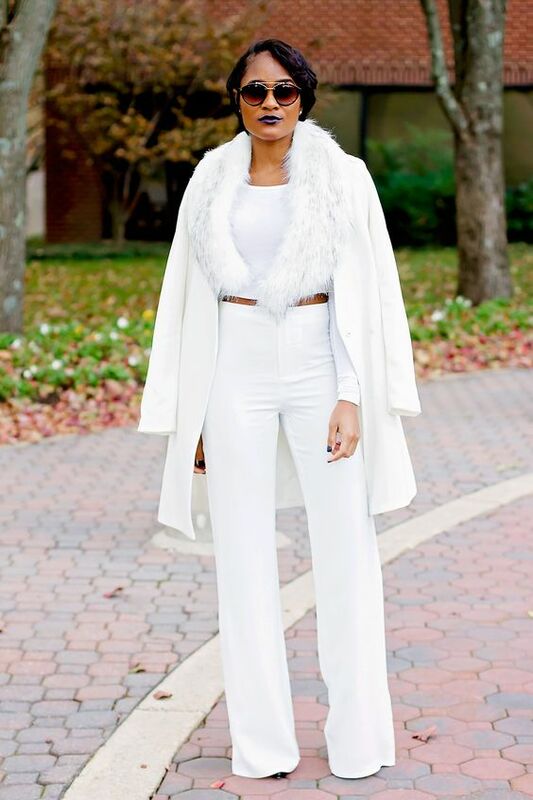 You can try an all-white outfit with pants, a crop top, a faux fur stole and a jacket. Rock a midi lace skirt, a white sweater and heels, just add a bit of accessories to make the outfit more festive. Try a blush or neutral pleated maxi skirt and a lace top or sweater; angora looks awesome – you can wear not only a sweater but also a skirt of it and add some glitter accessories. White lace dresses are amazing for creating a bridal shower outfit, you can go all-white or make it pop with colorful heels and a coat.